When Sharone Mayberry bought his Mercedes in the early 1990s, he had one thing in mind: driving it around the old neighborhood where he grew up, in hopes of catching the eye of an old girlfriend or childhood friend. He was working the night shift in the IT department in the downtown Houston office of M.W. Kellogg, a global engineering, technology and construction company now known as KBR. He had saved up, had good credit and the $36,900 price tag seemed worth it. But when he hit the streets of Third Ward that weekend, he said, “I didn’t see one soul, nobody that knew me.” Some had moved away, he remembers, but even those who hadn’t weren’t around. Instead, he saw beat up old houses in various states of remodel. Something was happening in the neighborhood. He took it as a sign and said that day altered the course of his life. “I ultimately ended up taking the car back and buying a house,” said Mayberry, sitting in his office on Almeda. 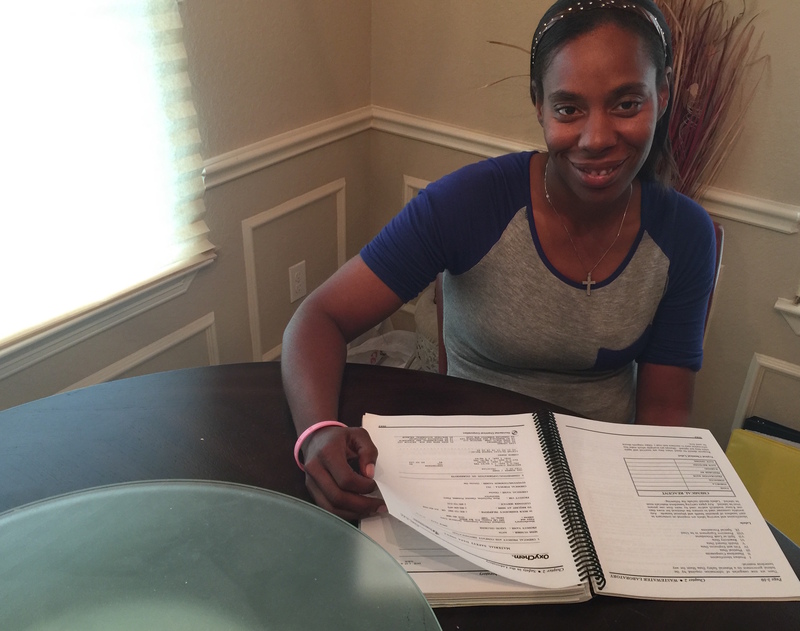 A little over three years ago, Andrea Caraway was driving between jobs as a City of Houston public works employee, when she saw a sign off Loop 610 and Scott Street that caught her eye: Mayberry Homes, it said, with a note about a down payment assistance program. She’d been living with her mother and her two kids, and the sign promised to turn her into something she’d never been: a homeowner. Third Ward was always home to Caraway, so when things between her and her ex ended, she packed her things, left her north Houston home, and moved back. They left behind a home that though Caraway had helped purchase, she didn’t own. Her ex was on the deed, and with her mom’s health declining, she decided it made sense to be back home. But the dream was still there. “I grew up in a house, and I wanted the same for my kids, to be able to have the space, their room, to be able to go outside and have a yard,” she said. Today, on her kitchen counter, she still keeps the photo from the day she signed the papers for her new house alongside the family photos in her home in Sunnyside. Caraway likes the exterior brick that goes all the way around the house – not just on the front – and the Jacuzzi tub in the master bathroom. Homework and books crowd the kitchen table. Caraway is one of only roughly 350 homeowners who have bought homes built through the city’s Land Assemblage Redevelopment Authority’s (LARA) affordable housing program that acquires vacant, tax-delinquent lots and sells them cheaply to builders who promise to build and sell homes at affordable rates on the lots. It’s a program that shows promise for those who participate but has moved slowly over the years. Through a separate city program, Caraway was also able to receive down payment assistance too. But LARA goes a step beyond encouraging homeownership, by aimimg to incentivize homebuilding in historical, economically disadvantaged neighborhoods. The LARA program started under Mayor Lee Brown, who served from 1998 to 2004, though the first home wasn’t sold until 2007. It’s part of a growing trend of cities collaborating with private developers and organizations to help repurpose vacant lots, stabilize communities and increase affordable housing. But their success depends on coordination across city departments, and it exists in a delicate space between neighborhood revitalization and gentrification that leaves some behind and puts even “affordable housing” out of reach. The program began as a pilot in Fifth Ward and Third Ward, two largely black neighborhoods with long histories familiar to many historically African-American, urban communities: a period of flourishing despite the penalizing constraints of red-lining and segregation, followed by the crippling, push-pull effects of disinvestment and highway projects that sliced up whole chunks of the neighborhoods and desegregation that lured many well-off community members elsewhere. Under Brown’s successor Bill White, the program expanded to more neighborhoods. Now included are Sunnyside, Acres Homes, Independence Heights, Fifth Ward, Settegast and a handful of others – again, mostly black communities, many with long histories and bearing the signs of neglect and discrimination. 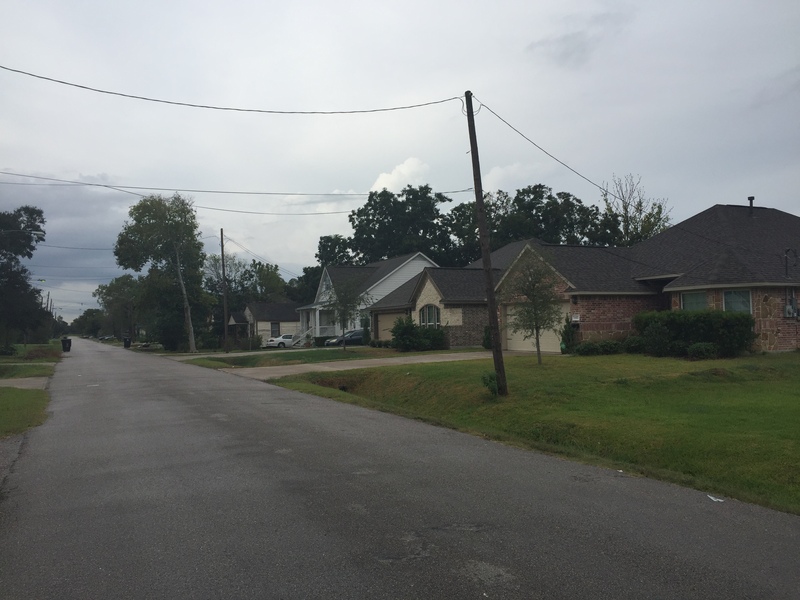 In the beginning, the city didn’t even have to pay for some of the tax delinquent lots, said Butler, and was able to deed them over to LARA at no cost to the city. But now, as interest in some of these neighborhoods increases, the city sometimes has competition with developers and others interested in acquiring land in a possibly gentrifying neighborhood. In some ways, generating investment and interest was the city’s goal all along. After all, said Butler, “the city’s not really a developer.” But the city also wants to see a house built, rather than an empty lot remain empty — sometimes for years — in the hands of a speculator waiting for the property value to increase before selling. And there’s the goal of affordability, too, desperately needed in a city with a growing economic divide. Between 1980 and 2014, the poverty rate in Houston surged from 10 to 17 percent. Perhaps more troubling, as poverty increased, so has economic segregation. The percentage of census tracts in Harris County considered high-poverty – areas with a poverty rate of 20 percent or higher – ballooned to 39 percent between 1980 and 2000, according to a recent report from the Kinder Institute for Urban Research. That’s nearly double the national rate of 20 percent. Caraway at the dining room table in her home. Like many cities, Houston faces an affordable housing shortage. The Houston metro area is short an estimated 153,000 housing units for people making roughly 30 percent of the area’s median income or less, according to the National Low Income Housing Coalition. Meanwhile, when the Houston Housing Authority recently opened up the waiting list for housing vouchers for the first time in four years, it received more than two applications for each available spot. Historically, cities typically responded to vacant lots the way Houston had, with limited efforts to keep them mowed and appearing at least somewhat under control. But there’s been a shift in recent years as more cities look to address the problem in collaboration with private partners, explained Joe Schilling, senior research associate in the Metropolitan Housing and Communities Policy Center and Policy Advisory Group at the Urban Institute. Thus, both Rust Belt cities and booming cities that suffered in the wake of the subprime mortgage crisis were struggling with a glut of foreclosed and vacant properties. In response to the growth of tax delinquent and vacant properties, cities like Baltimore, Cleveland and Philadelphia looked to land banks, expedited foreclosure proceedings and built partnerships with the private sector. “The idea is you’re kind of tapping the comparative strengths of the public and private sector but doing it in a focused way,” said Schilling. Many programs work strategically, targeting specific blocks for rehabbing and urban greening projects. Houston’s LARA, for example, includes an option to lease lots as community gardens for five years. Caraway keeps this framed photo from the day of her signing on her kitchen counter. 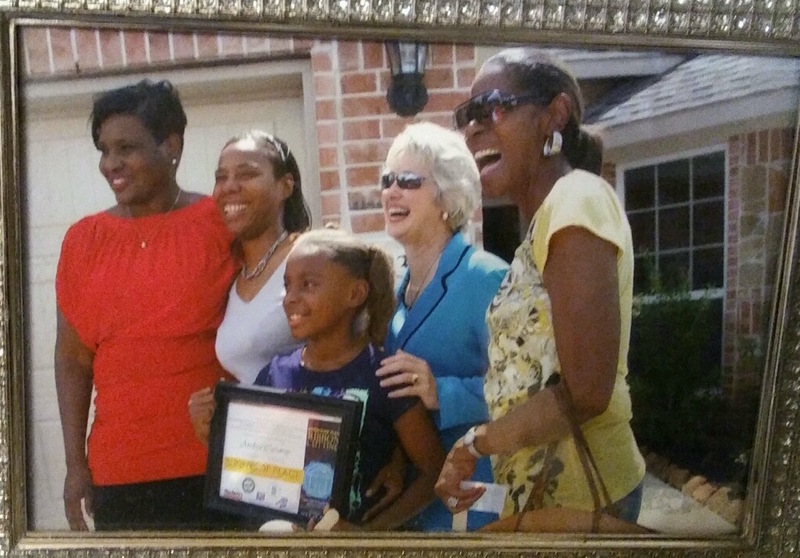 Left to right: then-City Council Member Wanda Adams, Caraway and her daughter, then-Mayor Annise Parker and Caraway’s mother. No, Third Ward was home. It’s where her father had a string of businesses — first an auto parts shop, then convenience stores, before going into embroidery and screenprinting. It’s where she went to school. It’s where the family came together after big games and events to celebrate at the original location of Frenchy’s, the popular Louisiana creole chain. But it’s also where townhomes started popping up, rising like fortresses above the street, and eventually pushing her father to sell the screenprinting shop. She said the homes being built through LARA there now are too expensive for her. So Sunnyside it was. The home she bought was listed at $130,000. She filled out the paperwork and got a grant for the down payment. Today, homeowners whose incomes qualify for the down payment assistance program interested in buying a home on a LARA lot can receive up to $25,000. The city has offered similar down payment assistance programs over the years. When Caraway applied, the initiative had a different name and handed out larger grants. The city also further restricted eligible incomes. She got less than she was hoping – she didn’t want to say exactly how much – but she said it was enough. The money comes with some stipulations: buyers have to have household incomes no greater than 70 percent of the area median income to qualify for up to $25,000, so, $48,440 for a family of four, according to the latest figures. They have to purchase a newly constructed home within a designated “revitalization area,” as determined by the mayor. And they have to agree to live in the home for a certain number of years before they can sell it, otherwise they have to reimburse the city for some of the assistance it provided. On the day Caraway signed the papers finalizing the sale, everybody was there. Her mother, Mayberry and even then-Mayor Annise Parker, there to promote the programs, showed up. Being a homeowner, Caraway said, is an awesome feeling. She’s hosted family gatherings at her place. Once, her family even surprised her, throwing her a birthday party for her in her own house. She enjoys barbecuing in the backyard, even if she can hear her neighbor’s horse kicking her back fence. But it hasn’t all been what she expected. Just off the highway on a side street with no sidewalks and open ditches, Caraway’s house is one of a handful of brick homes built by Mayberry. Next door to her is an abandoned house. It took six or seven months before someone else moved into the house across the street. And so far, her family is the only one with young kids that’s moved into the new brick homes on the block, she said. And after her new house was broken into, she felt especially vulnerable. Sunnyside still struggles with the effects of decades of policy that treated the neighborhood like a literal and figurative dumping ground. When the neighborhood was annexed by the city of Houston in 1956, it started paying taxes to the city. But improvements like sewer, water, drainage, sidewalks and other amenities were slow to come, if at all, according to a report from the Texas Organizing Project and the Texas Low Income Housing Information Service. Over the years, as the city opened dumps and incinerators and located large numbers of subsidized rentals in the neighborhood, residents protested. Today, the predominantly African-American neighborhood of roughly 22,000 people is considered one of the most dangerous neighborhoods in the country, and at 35 percent, has a poverty rate that’s more than double that of the city’s 13.5 percent poverty rate. Still, a strong sense of history and engaged civic clubs which as recently as December pushed back against a proposal to relocate the local community center to the site of a former landfill help define the community. Caraway is close to her children’s schools and she values the opportunity to be a homeowner, but she said she’d like to see more done to help families feel secure and bring opportunities for recreation and business to the neighborhood. When the program first started, Butler said, the city realized it would take more than homes to stabilize and revitalize neighborhoods. He cited the need to reduce crime and weedy lots while improving parks and schools. “We’re listening to the community and trying to provide all of these things so we can have complete communities,” he said. But it’s a slow process that takes coordination across departments. Federal funds through the city’s housing department have been used to help attract grocery stores. Public works is needed to address drainage problems. Schools can apply for SPARK funding to support their playgrounds. “There’s no single program that can jump start a neighborhood,” said Schilling. “It has to be done in concert or coordination with other actors and other initiatives and sometimes that’s the hardest thing.” And when a program works and things on the ground change, then there’s inevitably concerns about who it’s really for. “You have to engage the community almost every step,” he added. In some neighborhoods where LARA operates, like Third Ward, concerns about displacement are already at the forefront of the community’s mind. Mayberry sits on several boards, including the Houston Southeast Management District and the Houston Housing Finance Corporation, and still lives in the area, so he knows it’s a critical time for the neighborhood. He sees his work as giving back to the community that raised him. But he said, for developers to participate in the program, it also has to be profitable. What an excellent article. I appreciate Mr. Mayberry and his efforts, his homes are of outstanding quality. I met him at one of his homes and couple years ago when I was working through the process of becoming a homeowner. I eventually purchased a home from a different builder in Independence Heights through the City of Houston HOPE program, Covenant Capital, and Avenue CDC. I was fortunate enough to benefit from the grants available at the time and greatly appreciate the required Homeowner education courses. I’ve been in my home for 2 years now and I’m looking for ways to be part of my community and hope to serve and encourage others to follow their dream of home ownership. Real peoples with real struggles making a difference in their lives and the lives of their families by becoming an home owner with the assistance of Homes developer, lives Mayberry homes. Mr. Mayberry keep up the good God bless you and keep you.